Be prepared for triggering Devlins. 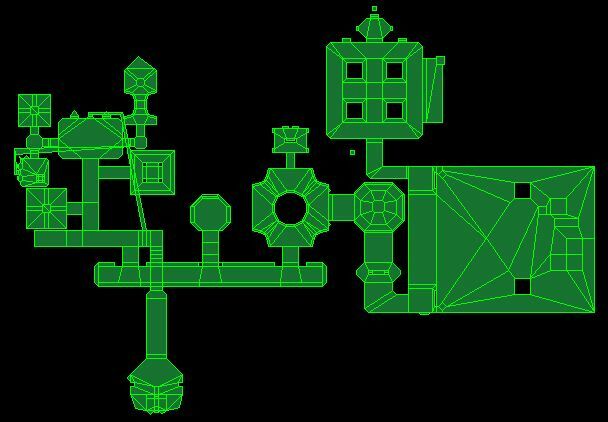 This level, if played in a dark setting, can scare the dickens out of a player. Make sure you note the design of the sheild rechargers, save terminals, and communication panels. They're explained when you beam down, and you'll need them for the next level as well. The end of the level requires you hit two switches and make your way into a doorway within a time limit. That is, you need to hit the revealed switch, sidestep right, hit that switch (with your fist), then sidestep left and move into the alcove revealed. Its easily doable, but takes a bit of practice. 4 All dressed up, and no place to go. 11 For This I Went To College?